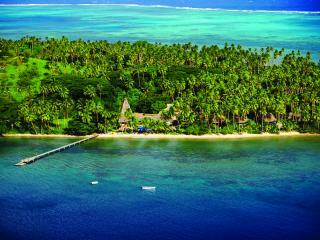 Jean-Michel Cousteau Resort Fiji is the perfect location for those after a memorable and relaxing holiday in Fiji. 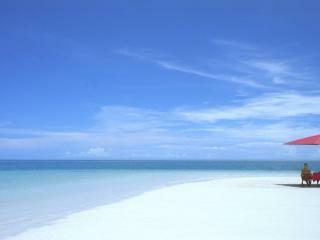 The resort caters well for couples, honeymooners and families with an array of activities to suit everyone. Children are well catered for with the Bula Club operating on a daily basis. The bures and villa offer comfortable and relaxing accommodation where you won't get into each other's hair. This eco friendly Fiji accommodation offers a PADI dive centre, 4 swimming pools, day spa, restaurant and bar, children's program and non motorised water sports. Koro Sun Resort is surrounded by the warm, crystal clear waters of the Koro Sea, perfect for snorkelling or scuba diving with an abundant marine life, or exploring the calm waters by sea kayak. This Fiji accommodation features contemporary style Fijian bures at offering privacy and exclusive accommodation with pleasing shades of luxurious perfection. While parents enjoy a relaxing massage or a round of golf, children aged 4 to 12 years will be entertained at the Free Kids Club. 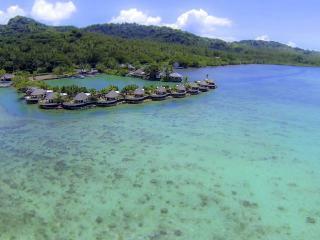 Namale Resort and Spa is nestled amid 525 lush, tropical acres on a private peninsula facing the Koro Sea. Tranquil, private and exotic Namale is a perfect hideaway for newlyweds, romantics, or those just seeking their own South Pacific paradise. Tastefully appointed bures feature traditional thatching and private decks with spectacular views. 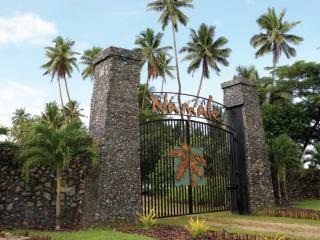 Nukubati Private Island Great Sea Reef is located 5 minutes from Vanua Levu on a secluded island. This Fiji accommodation is perfect for those who like to get away from everything, there are no TV's or telephones in the suites or bures and a limited number of guests on the island at any one time. There are a range of activities on the island such as snorkelling, diving, tennis, surfing, sailing, village trips just to name a few. The eco-friendly Nukubati grows a range of foods which are used in the meals on the island. Nukubati is perfect for romantic holidays, weddings, relaxing Fiji holiday or a place to take some time out.